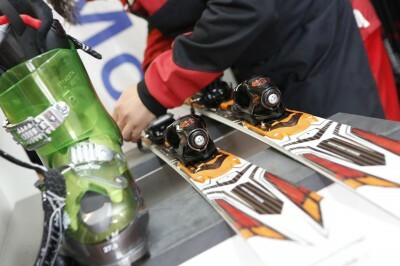 Hiring ski equipment is ideal for inexperienced skiers. It’s also wise for those who don’t ski very often to hire rather than purchase. Moreover, this option offers much convenience as you don’t have to worry about transporting or dragging large and oddly shaped items along as you travel from one destination to another. There should be ski hire outlets at the resort or, at least, in the town close to where you’re staying. You can either pre-book your equipment and ensure it’s all reserved by the time your ski holiday starts, or you can wait until you get there and then go scope out the equipment first-hand. Your equipment needs will change as you progress in your abilities. For instance, there are different types of skis that are specifically made for various types of levels as well as terrains, so you can change your ski equipment hire as your needs or plans progress.